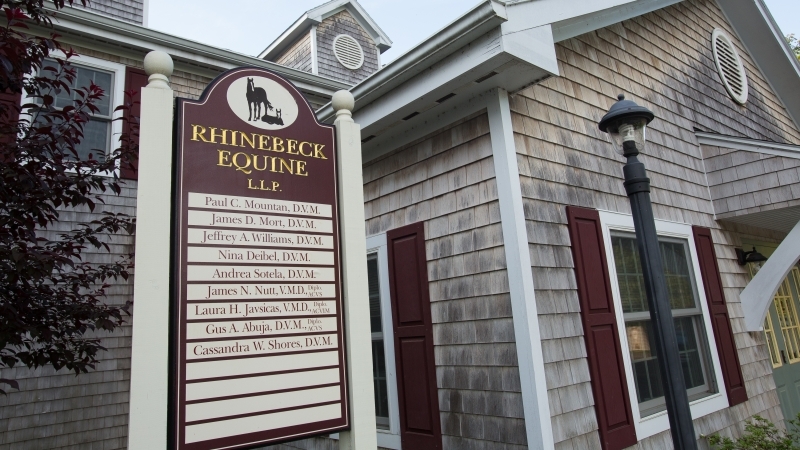 Rhinebeck Equine LLP is dedicated to improving the health and welfare of the horse, while exceeding our clients’ expectations for compassionate care. We are driven to further the knowledge of our clients and staff, be leaders in the equine veterinary community, and provide the most current, skilled veterinary care for our patients. Our “State of the Art” 13,000 square foot hospital is an immaculate welcoming space in which horses and humans alike are comfortable and relaxed. 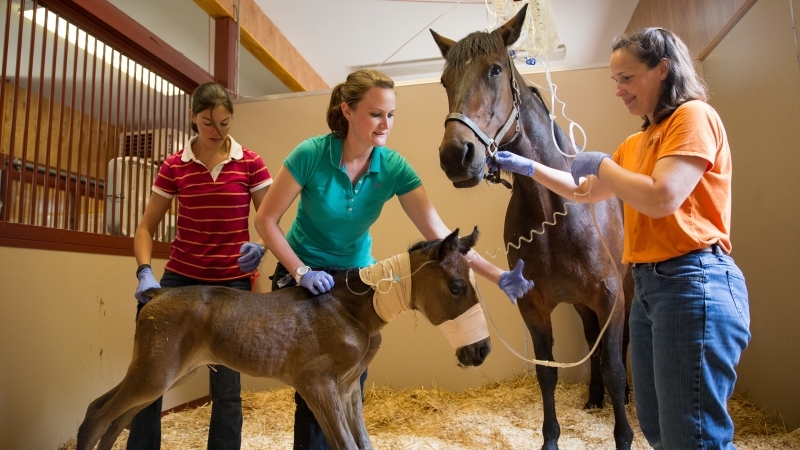 Horses are seen at the hospital as both outpatients and as hospitalized in-patients. 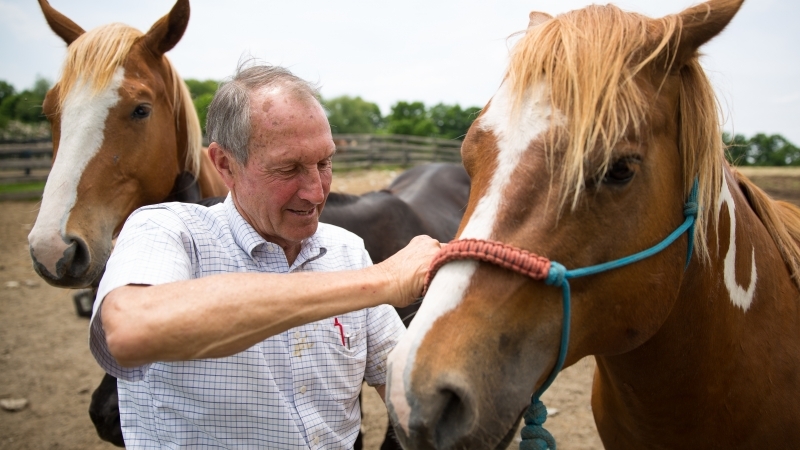 While they are under our care, all of our patients receive personalized, compassionate care from our skilled team of veterinarians, veterinary technicians and barn attendants. 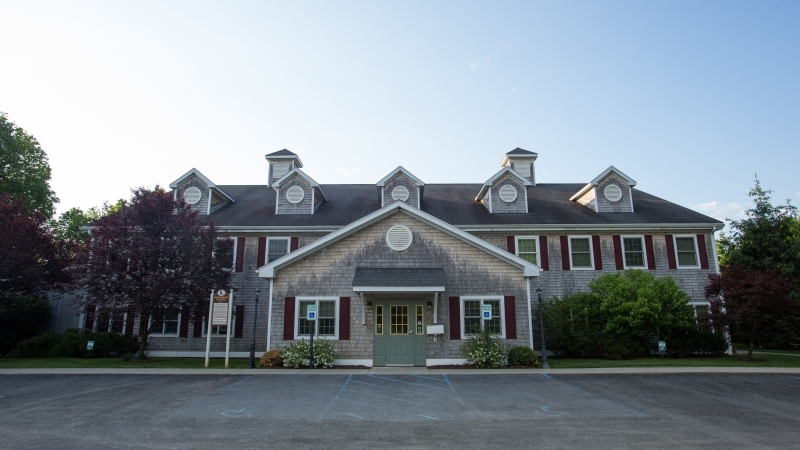 The hospital building welcomes our clients with a comfortable waiting room and reception area. A conference room provides a convenient area for meetings, while offices for the veterinary staff, billing/accounting staff, and receptionists offer functional space for running a busy practice. The hospital office area also includes a lounge, kitchen area, and large pharmacy. Two large apartments for interns and a dormitory room for visiting students are present on the second floor. The hospital clinical area has nineteen stalls, including two specialized mare and foal stalls, one air conditioned stall, and four stalls for isolation. Two induction/recovery stalls with an overhead hoist and monorail system are associated with the spacious surgical suite. A comprehensive laboratory opens off the large main treatment room. The imaging room houses our MIE nuclear scinitigraphy unit (bone scan), and provides a quiet space for obtaining radiographs and ultrasound studies. Two additional treatment areas, a feed room, and multiple storage closets are located in the wings. The hospital overlooks a large meadow with three paddocks with oak board fencing for patient turnout when appropriate. There is a large parking area, a loading ramp for vans, and an area for trailer parking. A courtyard off the clinical area provides an appropriate area for lameness exams. Our ambulatory veterinarians are equipped with portable digital X-ray equipment and ultrasound units on their specially designed vehicles. Videoendoscopy equipment, Powerfloat® units, and an HMT® Extracorporeal focused shockwave unit are all available for use by the ambulatory doctors. 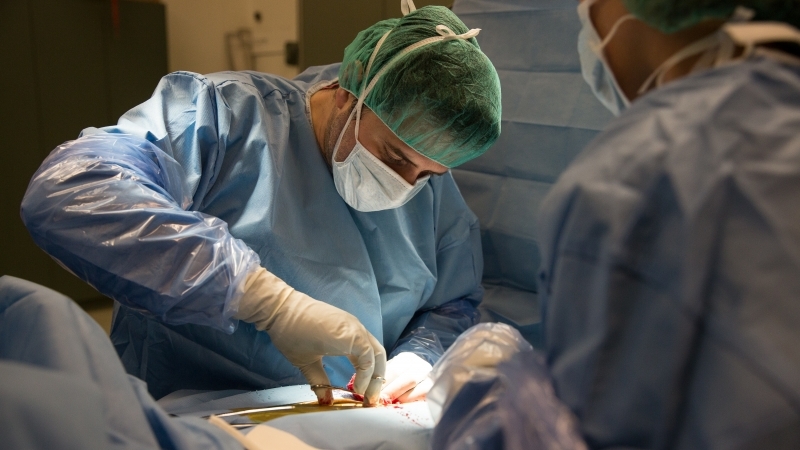 Discussion of cases by our veterinarians, including frequent consultations with our specialists, insures that each of our patients is receiving the benefit of the experience of our talented team. 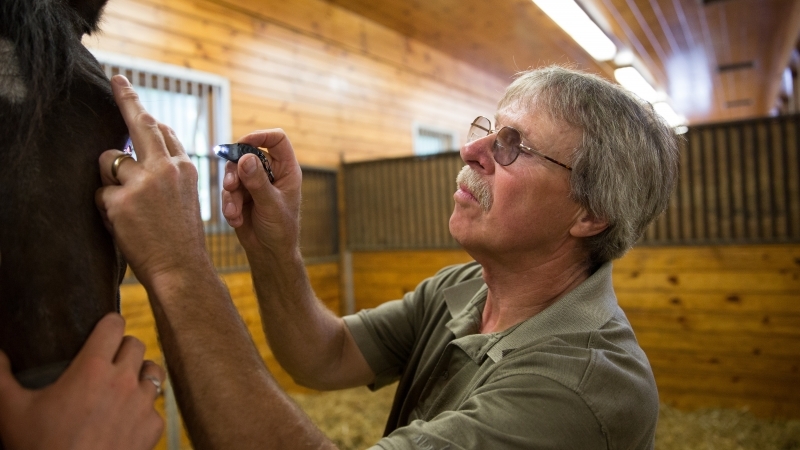 This dynamic exchange allows us to provide exceptional care for your horse.